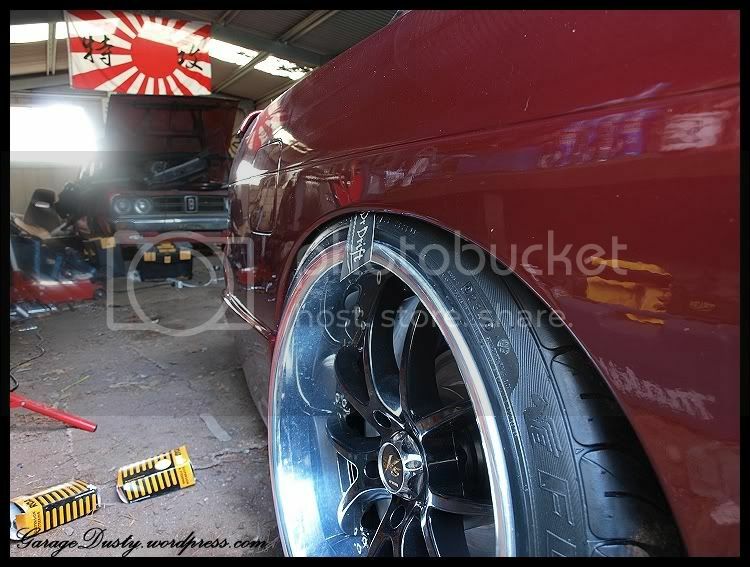 Project Silvia: Fitment y0! – Garage Dusty Exciting Car Team! I pulled the car out of the shed tonight and had my first look at it basically finished, at least visually. Put simply I’m rapt. It is pretty special to see something in the flesh that up until now I’ve only seen in my head. It looks exactly how I hoped. I did, yeah. The guards are lipped and pulled by a couple of mm. Have to lip mines to. But i was stupid and havent done it before painting the body. How you did it(newspaper? roller? else?) and was it before/after painting? This warring me a lot becouse the corroison in my area is very strong. Its raining all the time. Was done by my panel shop – basically a bit of hammering and a bit of rolling with a metal bar!